The heart of London’s tech industry is known as Silicon Roundabout. While a techy traffic interchange doesn’t appear to pose much of a threat to Palo Alto and the innovation giants of Silicon Valley, the comparison is more than just flattery, as this map shows. The dark green areas on the map highlight the regions that are leading innovation in Europe. Silicon Roundabout – the UK home to tech giants like Google – sits at the heart of one such region. According to the European Commission’s 2016 Innovation Scoreboard, Sweden is the most innovative country in Europe, boosted by human resources management and high-quality academic research. Denmark, Finland, Germany and the Netherlands make up the top five. Innovation is measured using a set of criteria including the number of new products invented, the percentage of high-tech jobs, and the number of graduates available to tech industry employers. What is clear from the map is that there is a stark division between areas of Europe that innovate and those that are struggling to modernize. Greece and Spain, for example, are producing little in the way of innovation, which can only hinder their post-economic crisis recovery. In the east, Poland and the Czech Republic are among the least innovative countries in Europe. A worrying trend for Europe is that innovative performance appears to be faltering. The orange regions on the map above show areas where innovation has declined between 2014 and 2016. The 2008 edition of this map was coloured mainly in green. Back then, Apple’s iPhone was the new kid on the block and the app revolution was just beginning. 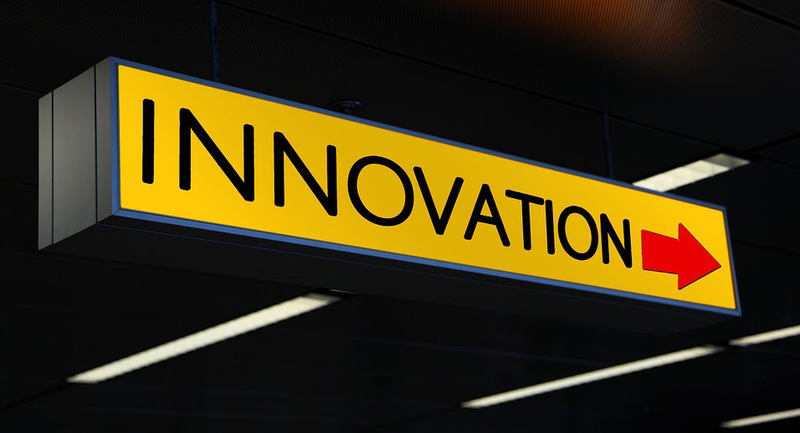 The slow-down in innovation may be a symptom of an underlying economic malaise gripping Europe. On the other hand, it could also reflect a flurry of innovation following the launch of smartphones, which has inevitably started to settle down.